Payoyo Sheep´s cured cheese wedge in butter. It is a cheese of sheep's milk smeared with Iberian lard that is left to rest another 120 days in the cellar. 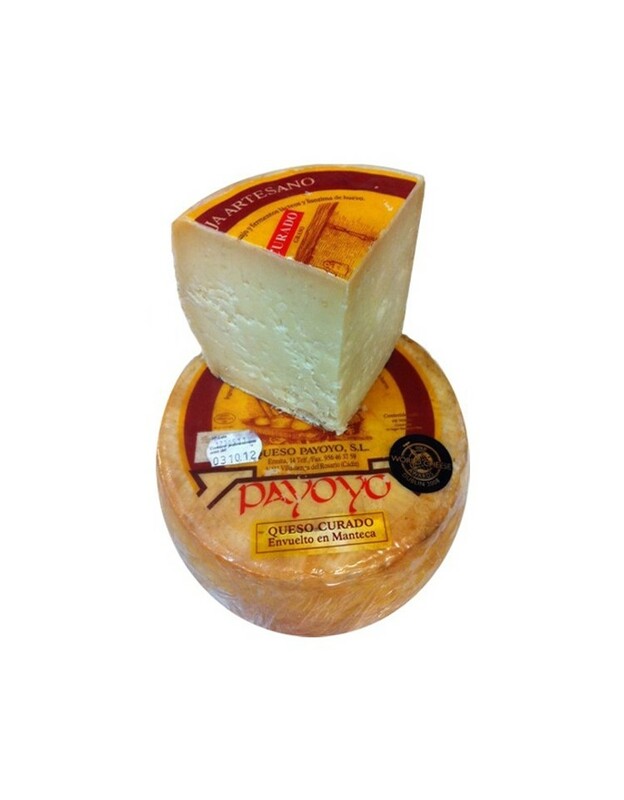 Tasty in the mouth, with buttery texture on the palate, resulting tender and spicy, with aromas of lard notes that nuance the taste of cheese in a pleasant way. 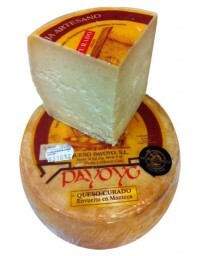 Me gusta el queso de oveja y este queso es el mejor que he probado en mucho tiempo. Me ha sorprendido y voy a seguir probando otros quesos de Payoyo para dejarme sorprender nuevamente.